If you are looking to buy an action camera – then you probably already noticed that there are so many models online. Many companies nowadays manufacture and sell action cameras. Today I will review one of them – the DOMEZAN action camera. The video quality of the DOMEZAN action camera is excellent. This camera record in 4K, but if you want the videos to be more smooth – you should choose the 1080P video recording option. There are other cameras like YI 4K (Amazon link) that provide a better quality at 4K, but if you just need a good 1080P camera -DOMEZAN is the right one. It also offers a very well working image stabilization option – which many people will find very useful. 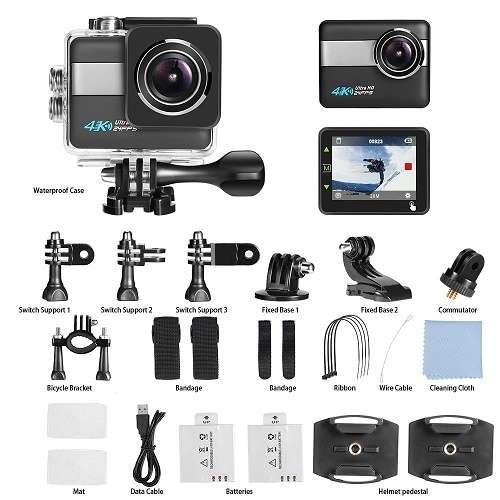 Overall – the video quality is good, and better than some other action cameras in this price range. You won’t be disappointed by it – that’s for sure. Another great action camera worth checking out is AKASO EK7000 (Amazon link). This model is super popular now, and I am not surprised by that all all. 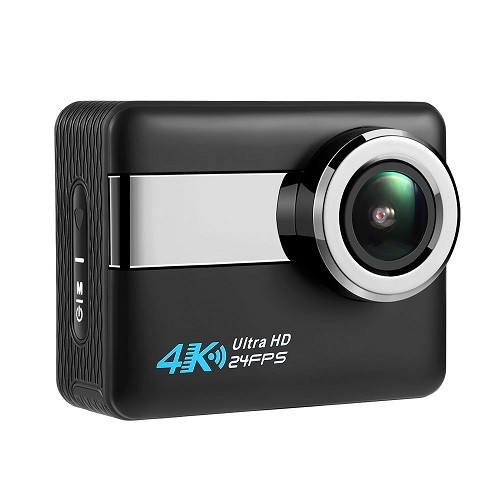 This action camera works really well, offers 4K video recording, and comes with many accessories. Is it better than the DOMEZAN action camera? Well, that depends. Each camera has its own unique features – so you should check them both and see which one you like more. They both are worth buying – that’s for sure. The video quality is very similar as well. After you download the app, you will be able to pair your smartphone with the camera in seconds. The process is very easy. I persoanlly don’t use the WIFI functions on my action cameras very much – but I know that for many people – it’s a must have feature. The WIFI range is good, and the connection is stable – no random disconnects. Currently (24/09/2017) – this action camera comes with two 1200mAh batteries. Each one lasts 40-60 minutes, depending on the video quality and other factors. Many action cameras in this price range only come with one battery, and buying the second one is never cheap. Here you get the spare battery included, and that saves you a lot of money. This DOMEZAN touchscreen sports camera comes with different accessories and mounts. Using them you will be able to attach the device to almost anything. Many cameras don’t come with all these mounts – which are not cheap at all if bought separately. You do need to buy a MicroSD memory card- since it’s not included in the package. The camera supports memory cards up to 64GB, and that’s actually a big advantage. Many sports cameras in this price range only support MicroSD cards up to 32GB. The reason for that is the hardware cost. Hardware that supports 64GB cards is more advanced and more expensive. Any 64GB MicroSD will work fine – just make sure it’s class 10 or above (it is mentioned on the package). 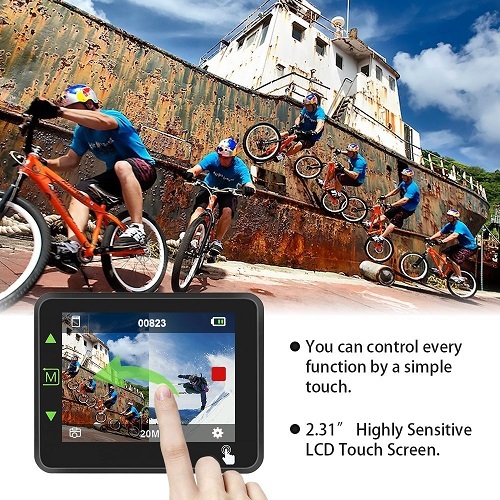 If you are looking for a high quality action camera that provides great video quality, has a touchscreen and is very easy to use – DOMEZAN is the answer. I am sure that in the future this camera will become even more popular. It provides really good value for your money. I hope you will find this DOMEZAN action camera review useful. If you have any questions about this device – feel free to comment below. Also check out other action camera reviews on our website.